1999 Nose on a 2000? I have a 99 Camry that was totaled due to a rear end collision, the doors and the front end are still perfect. I've been trying to sell it for the engine along with the rest of the good parts, but no luck. 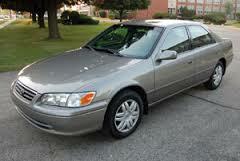 I just located a 2000 which is the same color that has front end damage limited to the hood, grille, and lights. Looks like they hit the back of a truck because the bumper isn't damaged, and the fenders are good. I know that the headlights on a 2000 are a different shape, and the fenders, bumper, and grille are different from the 97-99 models. I'm figuring that I can put the full front of my 99 on this car to make one good. I realize that it won't be correct looking, but will it bolt right on? Last edited by dirty hands; 12-19-2016 at 12:10 AM. Quick Reply: 1999 Nose on a 2000?